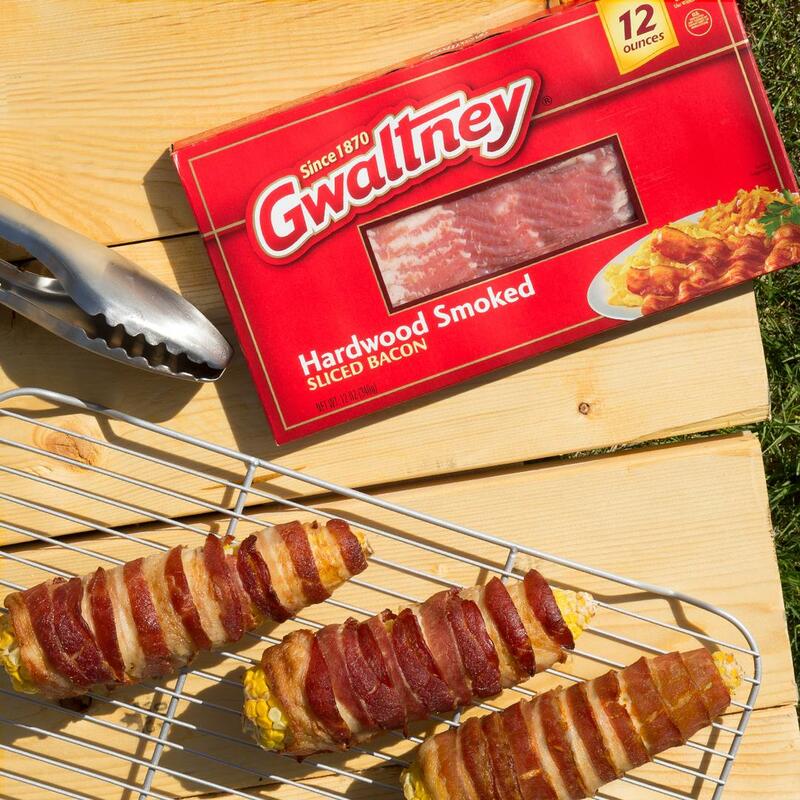 They always say to eat your veggies, but no one ever said they couldn’t be wrapped in sizzling Gwaltney Bacon. Try out this next-level corn on the cob. Starting from the top of the corn and working your way to the bottom, wrap 3 pieces of bacon around each ear of corn. Make sure to wrap them tight so they’ll stay together. Keep the grill temperature between 370-390 degrees. Cook the bacon for about 45 minutes or until it is cooked to your desired preference.